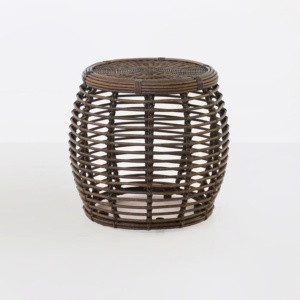 The Kane Drum Accent Table is a simple solution to add style and functionality to any outdoor space. A gorgeous synthetic outdoor weave is woven with an open architecture and paired with a tightly woven tabletop to give a beautiful harmony in this fun accent table. 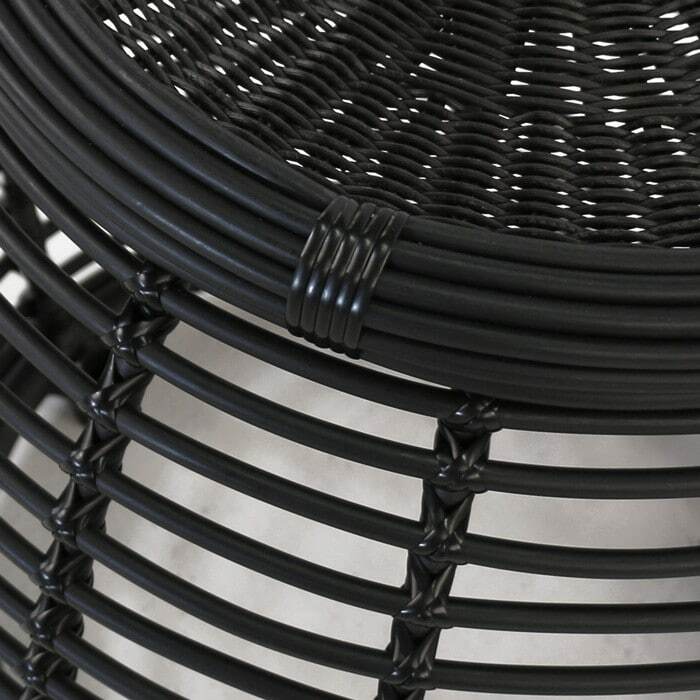 The dark charcoal black color makes it usable in so many spaces and the low maintenance requirement makes it a piece you'll be in love with for many years. 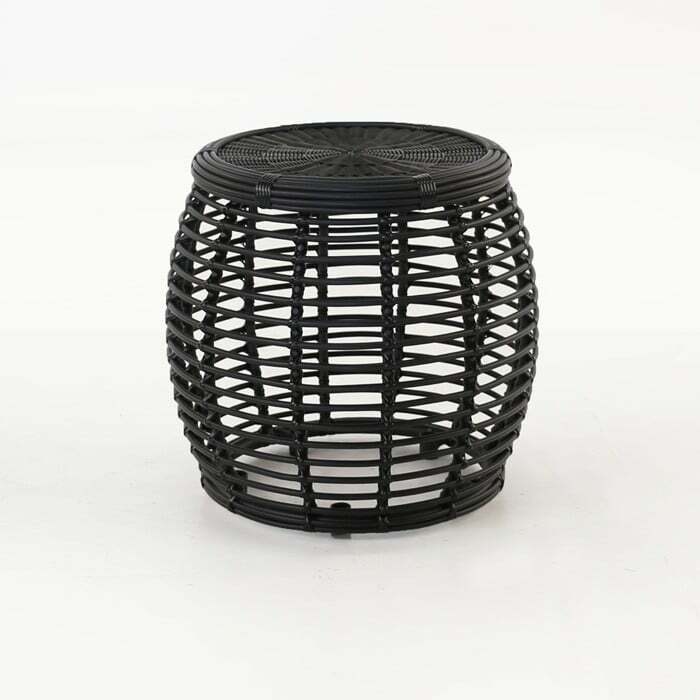 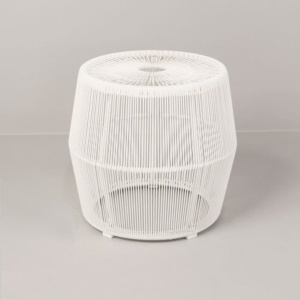 A lightweight powder-coated aluminum frame and two styles of outdoor synthetic weave with distinct outer profiles make this a perfect accent table for so many spaces.